Another day another wishlist. This time I’ve opted for all my favourite bits and pieces from ASOS, a site I adore and check sometimes daily like an addict. So, I thought I’d share my favourite items on the site as rumour has it there’s 20% student discount today – get shopping! To find more coupons and deals for ASOS, please visit ChameleonJohn. Stand out pieces to me have to be the pale blue coat which I’m actually considering picking up and the black and white loafers. The jumpers wouldn’t go amiss in my wardrobe either, as I’m planning to get rid of the ones that don’t fit me right. I also really adore the printed dress, as I find that type of shape really flattering and the print is pretty too, perfect as an alternative xmas party dress for those who hate the sparkles! I’d definitely wear it with some killer heels and a black leather clutch. ASOS are doing so well with their edit at the moment and I’m really loving the minimal, staple angle they’re going for with a lot of their items! 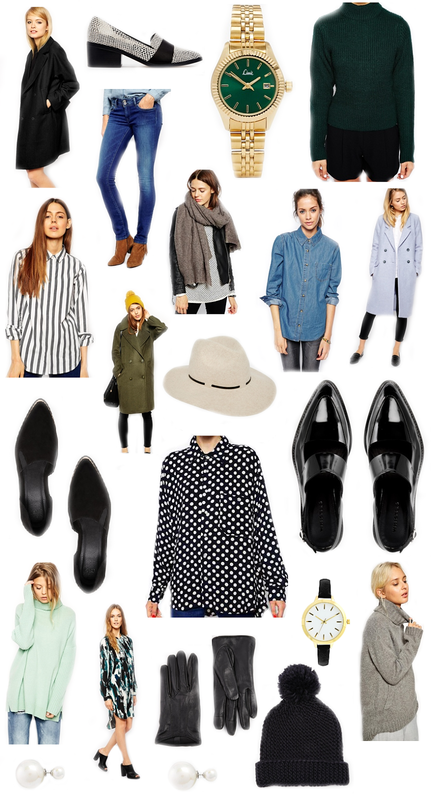 Perfect for me and I can imagine I’ll do some serious bank account damage soon… Any pieces you’ve got your eye on?